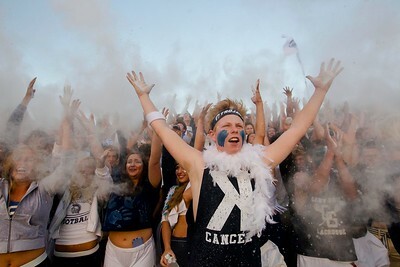 Sarah Nader - snader@shawmedia.com Luc Lucbressett, 17, of Cary cheers for Cary-Grove during Friday's football game against Prairie Ridge Aug. 25, 2017. 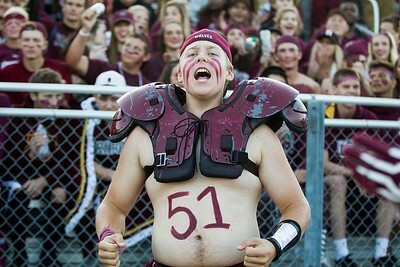 Sarah Nader - snader@shawmedia.com Prairie Ridge fan Tucker Dilthey, 17, cheers for Prairie Ridge during Friday's football game against Cary-Grove Aug. 25, 2017. 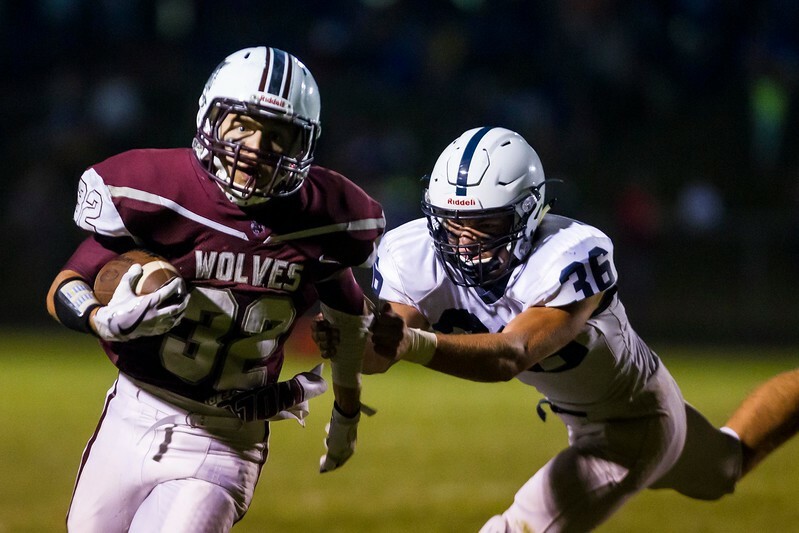 Sarah Nader - snader@shawmedia.com Prairie Ridge's Samson Evans runs the ball during the second quarter of Friday's game against Cary-Grove Aug. 25, 2017. Prairie Ridge won, 7-6. 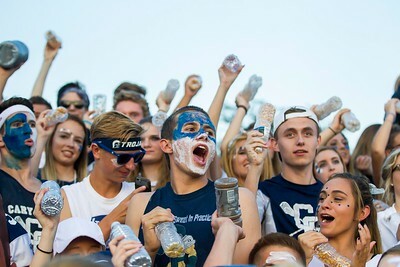 Sarah Nader - snader@shawmedia.com With his face painted Shane Layshock (center), 17, of Cary cheers for Cary-Grove during Friday's football game against Prairie Ridge Aug. 25, 2017. Sarah Nader - snader@shawmedia.com Prairie Ridge's Zach Gulbransen (left) is tackled by Cary-Grove's Max Buss while he runs the ball during the third quarter of Friday's game Aug. 25, 2017. Prairie Ridge won, 7-6. 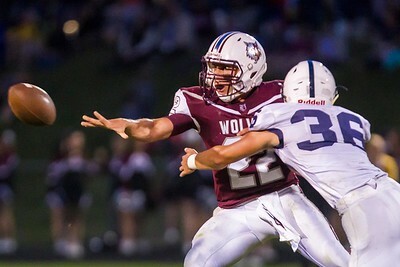 Sarah Nader - snader@shawmedia.com Prairie Ridge's Samson Evans (left) passes off the ball with Cary-Grove's Max Buss on him during the second quarter of Friday's game Aug. 25, 2017. Prairie Ridge won, 7-6. 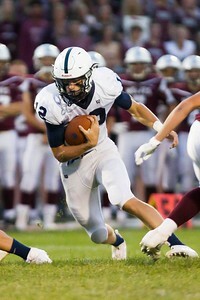 Sarah Nader - snader@shawmedia.com Cary-Grove's Quinn Priester runs the ball during the second quarter of Friday's game against Prairie Ridge Aug. 25, 2017. Prairie Ridge won, 7-6. 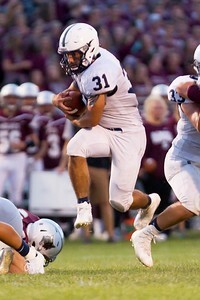 Sarah Nader - snader@shawmedia.com Cary-Grove's Max Skol runs the ball during the second quarter of Friday's game against Prairie Ridge Aug. 25, 2017. Prairie Ridge won, 7-6. 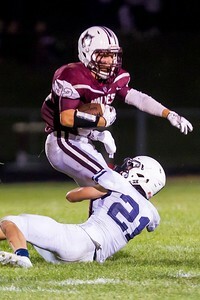 Sarah Nader - snader@shawmedia.com Cary-Grove's Max Skol (left) is tackled by Prairie Ridge's Kyle Koelblinger during the third quarter of Friday's game Aug. 25, 2017. Prairie Ridge won, 7-6. 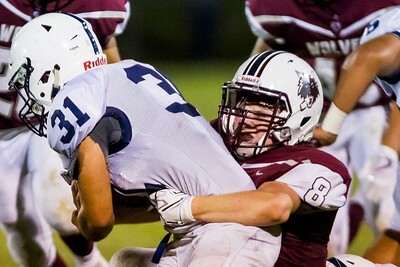 Sarah Nader - snader@shawmedia.com Prairie Ridge's Zach Gulbransen is tackled by Cary-Grove's Danny Daigle during the fourth quarter of Friday's game Aug. 25, 2017. Prairie Ridge won, 7-6. Prairie Ridge's Zach Gulbransen (left) is tackled by Cary-Grove's Max Buss while he runs the ball during the third quarter of Friday's game Aug. 25, 2017. Prairie Ridge won, 7-6.